Guess by Marciano presents Alessa 2 patent pumps! Not for the faint hearted this pump is comes in a rich black patent and patent leopard trim upper. This is a shoe for the powerful divas. You will fell as bold as the gold buckle with a large Guess logo on the peep-toe which rests on a 3.8cm covered platform. 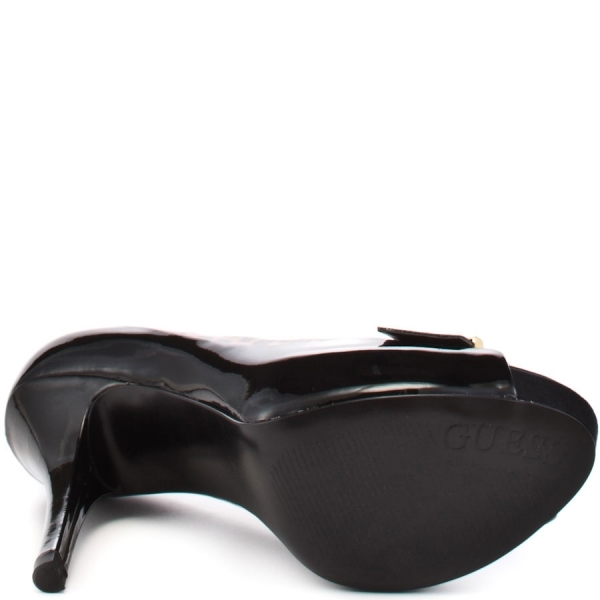 Glossy stiletto heel is 10.3 cm high. Perfect as an office shoe, or rocked to an evening event, with a pretty, long evening dress.